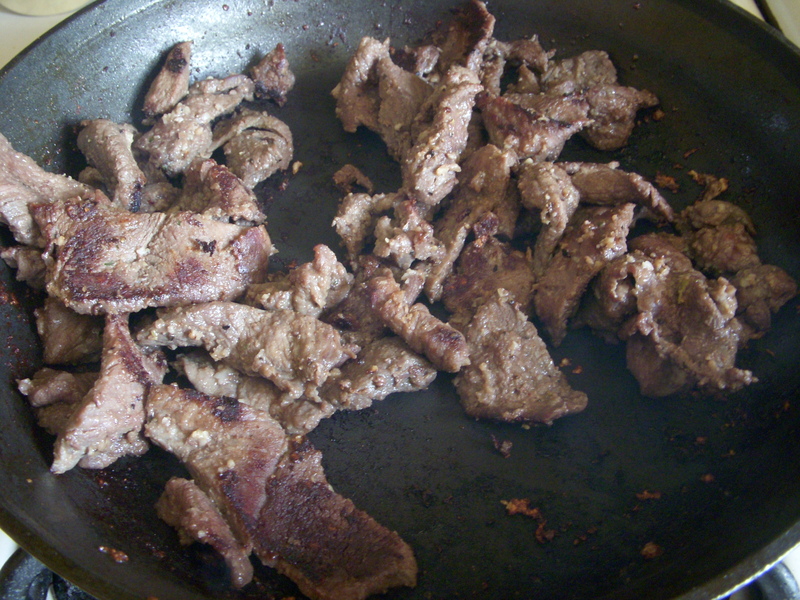 This is one of my Mom’s famous recipes. It’s always made when there’s a bunch of family around for dinner since it’s quick, easy and inexpensive to make. Did I mention it’s also really good? 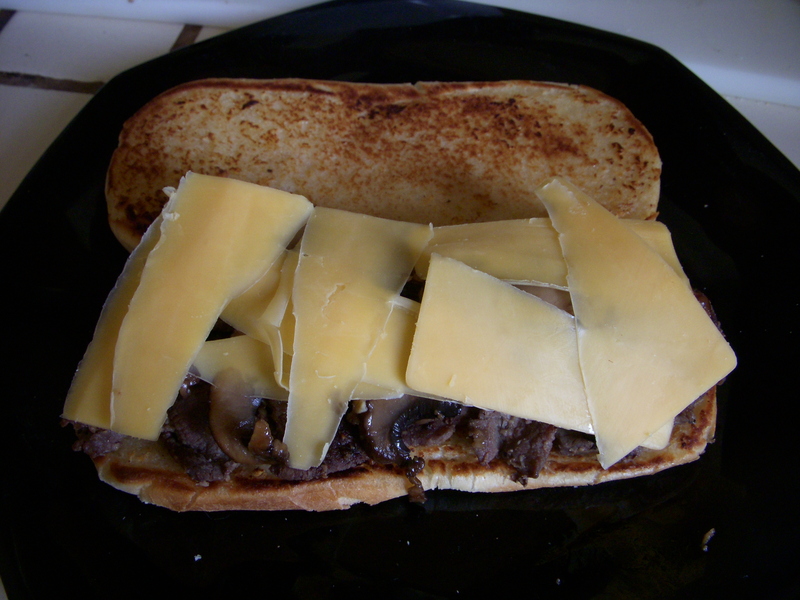 So I’m making this sandwich with both the mushrooms and the cheese because it’s so good, but it doesn’t need it. Really. 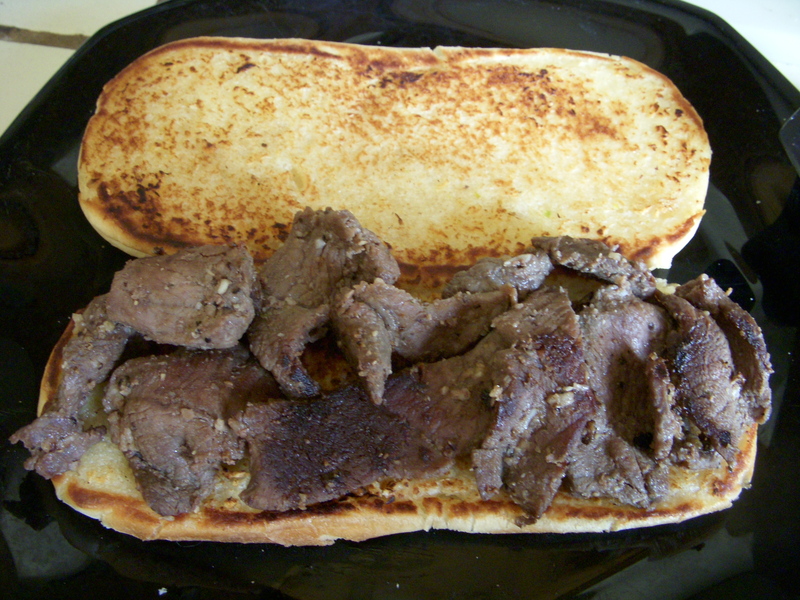 It’s really good with just the roll and steak. 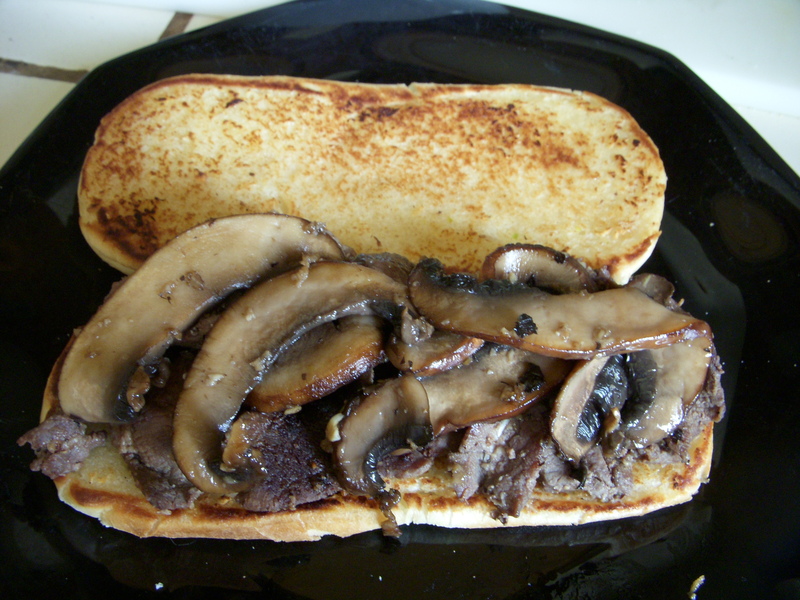 And for my vegetarian friends, it’s actually great with just mushrooms and cheese! 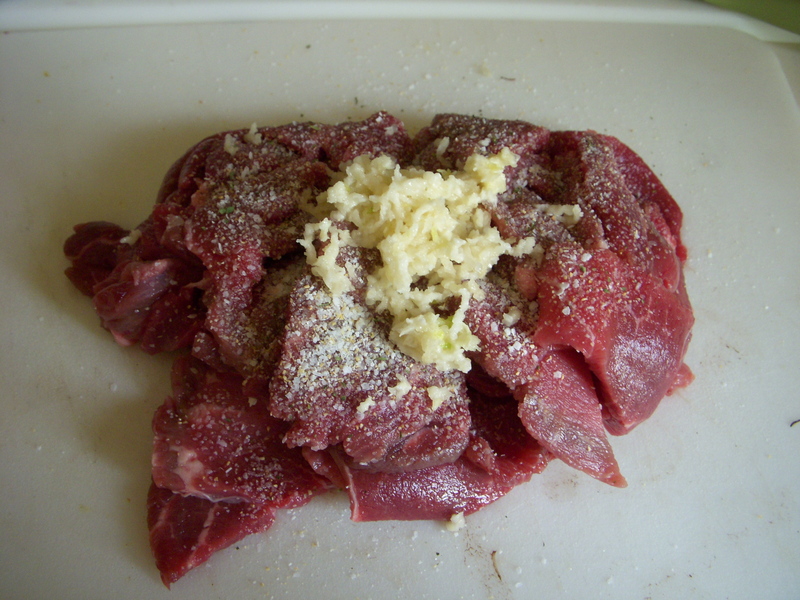 To get started, mix your meat strips with garlic salt and 3 minced or squished cloves of garlic. Set aside. 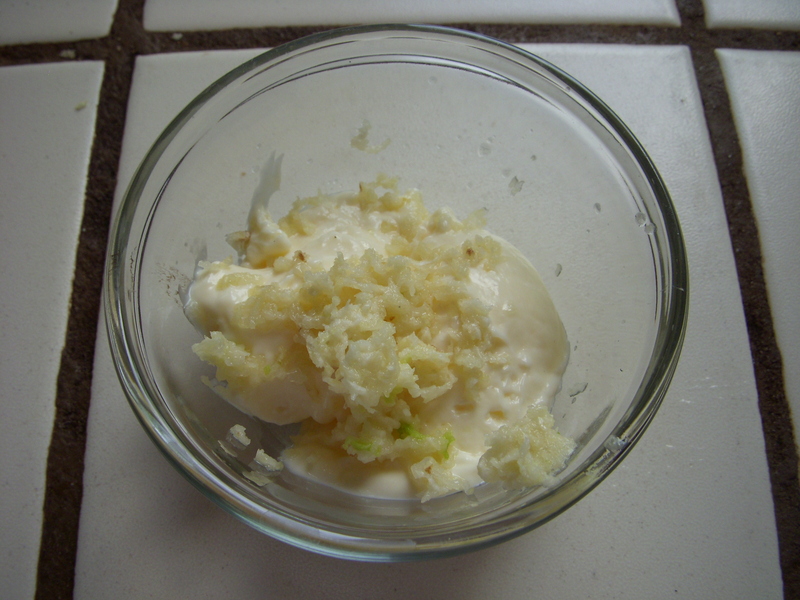 Then squish 2 cloves of garlic into the mayonnaise and mix. 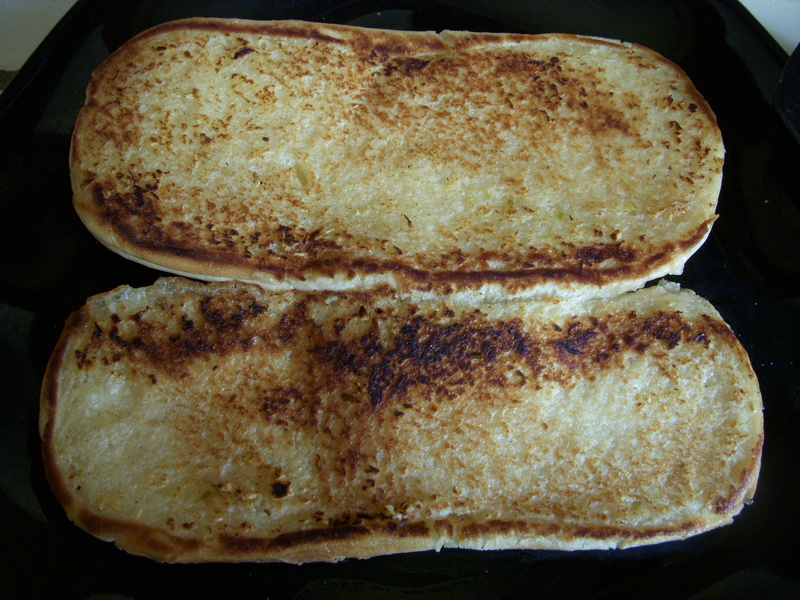 In a nonstick pan, melt two tablespoons of butter. 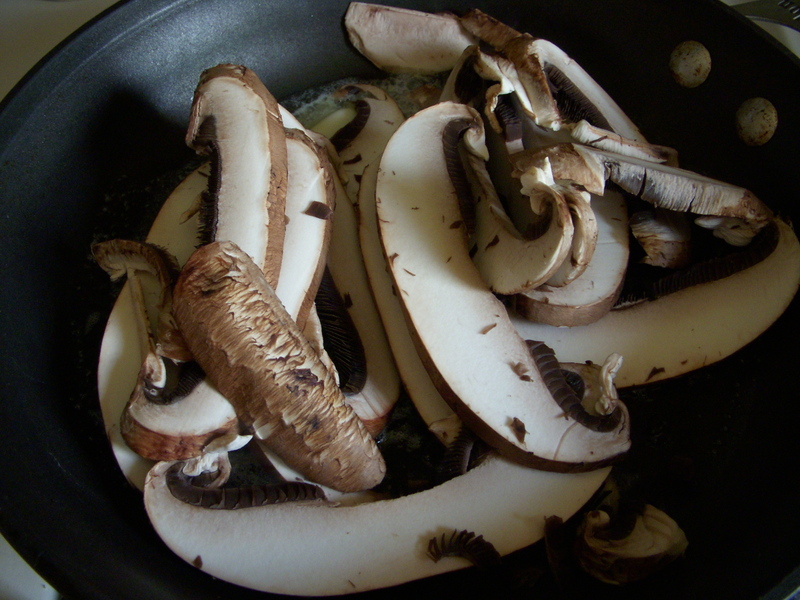 Toss in your sliced mushrooms and sautee. 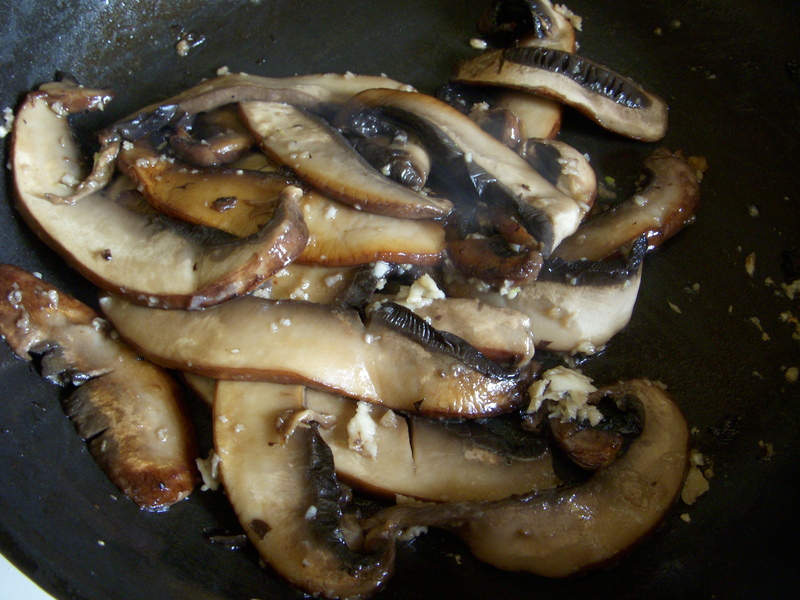 After approximately 6-8 minutes, when the mushrooms are almost fully cooked, add in 1-2 mince or squished cloves of garlic, and sautee until the garlic is cooked, another 1-2 minutes. 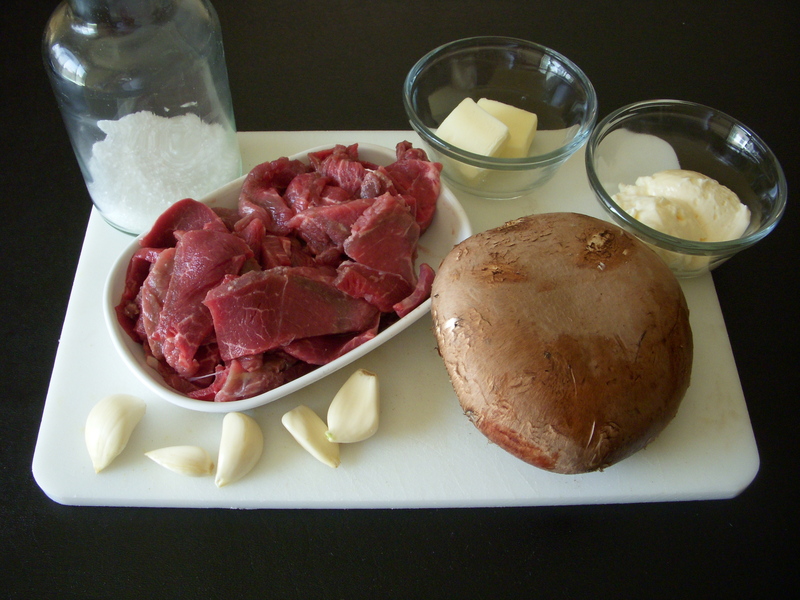 Put into bowl and set aside. 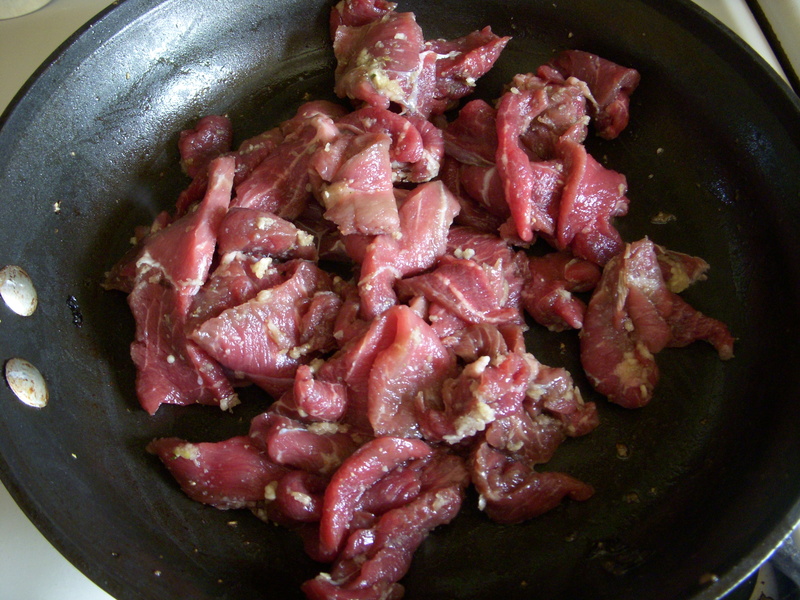 Set your beef aside in a bowl and wipe down the pan, since you’ll be using it one more time. 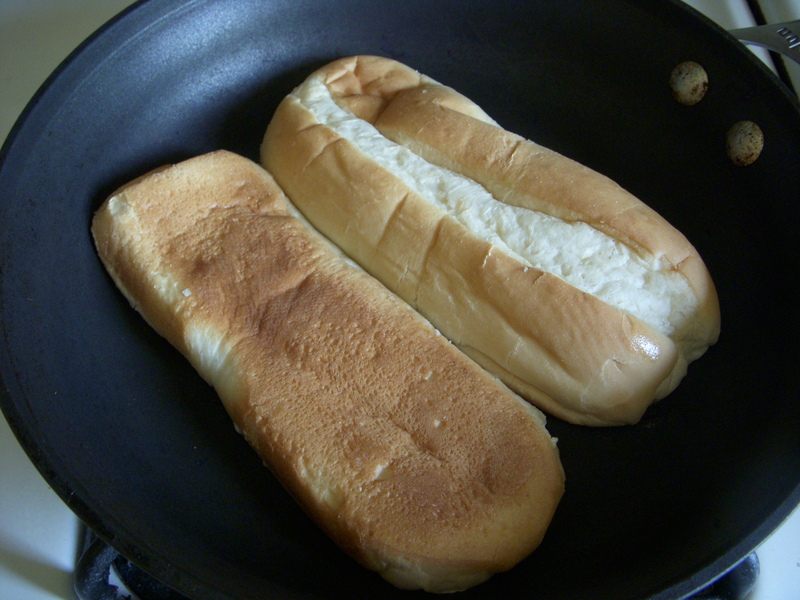 Make sure your pan is hot (medium high heat), then spread the garlic mayonnaise thinly on the split rolls. 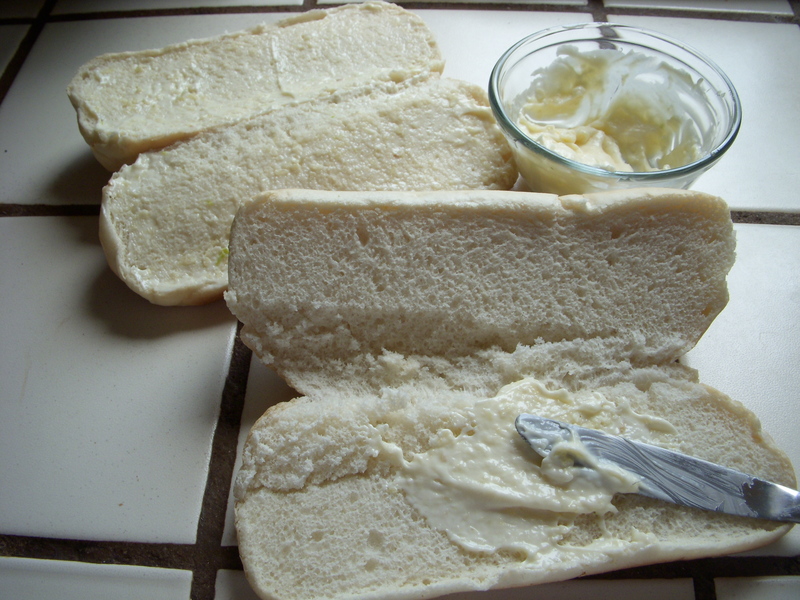 Grill the roll split side down, pressing on the crust of the roll with a spatula to make sure the mayonnaise make full contact. Type to you later people. 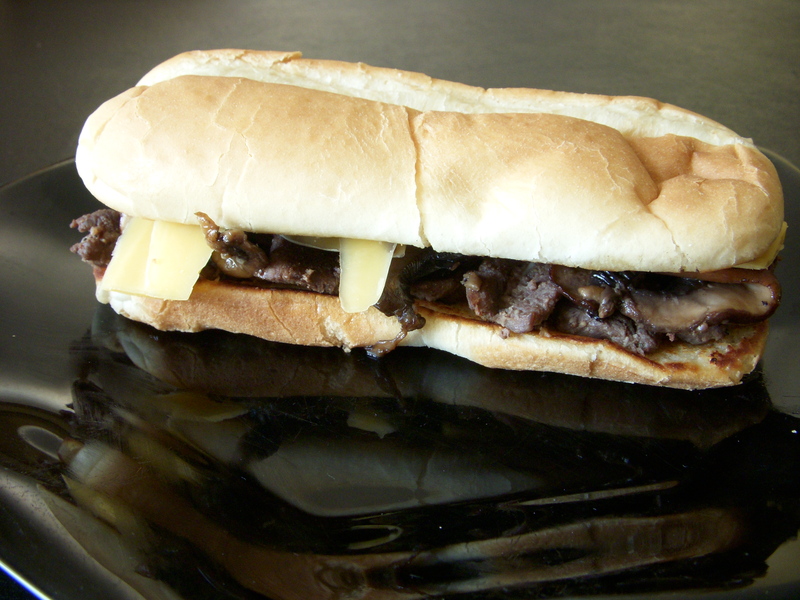 It’s lunchtime!